The legacy of Archimandrite Robert Taft S.J. is so significant that no one who is seriously interested in the evolution of the Divine Liturgy can afford to ignore it. 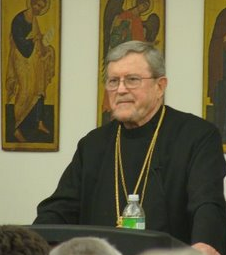 In his interview the esteemed scholar, indeed, the “patriarch” of Byzantine liturgical studies, tells us about his life-long relations with representatives of the Russian Orthodox Church from the homeland and the diaspora, and his attitude toward Orthodoxy itself. Fr. Robert’s integrity and openness make a conversation with him always a pleasure and privilege. Deacon Andrei Psarev: Fr. Robert, I did a report on the Orthodox Women’s Conference in which you participated, on Long Island. I gave a very positive report on your talk. Later, a colleague of mine, a priest, sent me a query. 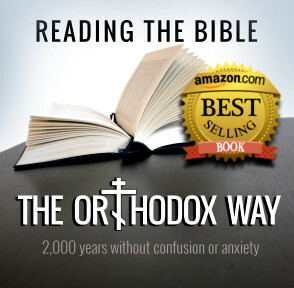 He asked me why it was that a non-Orthodox person was teaching us Orthodoxy. So, my first question is a straightforward one: Why should an Orthodox reader of this site listen to you, who are not only a Latin heretic, but even a Jesuit? Some years ago, the Metropolitan Museum of Art held a beautiful exposition of Russian Icons. When they do that sort of thing, a specific exposition [of icons], the Metropolitan Museum usually opens it with a seminar over of couple of days, where they invite scholars whom they consider knowledgeable experts on various aspects of what is displayed. I was one of the people invited. When I finished my talk a gentleman who (I later found out) was from the ROCOR stood up and challenged me, asking me what right I had to be talking about these things. I said, “The right I have is that the Met invited me to do so. Maybe they should have invited you instead. If they had, you’d be giving the talk. I’m giving the talk because I was invited to do so, and because I also happen to know something about it.” That was the end of that discussion. Later I came to know that man, and we even became friendly. AP: Right. But I’m interested in explaining to our reader that it isn’t a problem to listen to an outsider. In my opinion, sometimes it takes an outsider for us to understand our own tradition better. That was what I meant. RT: It’s always good to see ourselves not just as we see ourselves, but also as others do. But of course, to have that mentality, you have to be someone who wants to learn, who is open, in other words. I have spent my entire life trying to build bridges to Orthodoxy. The world is full of people who are bridge destroyers. They want to destroy the bridges that already exist. That’s not me. I want to reach out to other people. As to why I do so — let me begin by giving you some background, otherwise you’ll never understand why I’ve spent my whole life doing this. RT: I entered the Jesuits as a young boy — seventeen and a half years old. I was a novice. With me in my class in 1949, the two-year novitiate class, there was a young fellow-novice named Stanley Marrow who came from Baghdad, and he was a member of the Syrian Catholic Church, a small church that came from the non-Calcedonians and entered into communion with Rome. And I said to myself, “What’s this church?” I didn’t know anything about them; I didn’t know that these people existed. Since I’ve always been a very curious person, I of course looked into this. I wanted to learn something about my Catholic Church that I didn’t know. So I read some books about the Eastern Churches and I was immediately disappointed and disturbed, and even angered, because it appeared to me that these Eastern Catholic Churches, had been treated very poorly by the West. They were treated sort of like US Indian reservations: they were helped financially, maybe, but kept under control, you see. As a result they underwent Latinization. This angered me. I decided to look into it and I began to study. That was my first introduction to the Christian East. Then a professor came to teach us, a priest named Fr. Patrick Sullivan, who came from Fordham University. He had just finished his doctorate and he came to teach us Greek. He told me that there was a Russian Center called Soloviev Hall at Fordham University, and that there were Jesuits who were trying to build bridges to the Russians. “Wow,” I said, “That’s wonderful! That’s something I’d like to do myself.” So I immediately began to study Russian on my own and to read books and so on. I fell in love with Russian spirituality, Russian culture, Russian iconography. I was intelligent enough to know that the inheritor of these things was the Russian Orthodox Church, which was being persecuted. Then from 1956 to 1959 I was sent to the East. I taught at Baghdad College, and I became much more acquainted with the Christian East because Baghdad was a place full of all of the Eastern Churches. Especially the Armenian Church was very strong there. As time went on this interest increased and I requested my superiors to permit me to go to Fordham University to do Russian Studies and to learn Russian. My main interest was focused on Russia and its spiritual culture, because Russia was being persecuted. Everybody, of course, was being persecuted in Russia. Stalin was an equal-opportunity persecutor, you see. Hitler persecuted the Jews; Stalin persecuted everybody. So, they allowed me to go to Fordham. While I was there I started to visit the Russian Orthodox Churches in the city with Fr. Nikolai Bock. He was the last representative of the Tsarist government in Rome when the Bolsheviks took over. He was just the secretary, not the ambassador, but he happened to be in Rome when the Bolsheviks took over. He refused to return to the Soviet Union. He was a married man. I think he went to Japan with his wife and became a teacher of English and Russian there. Then his wife died, and he decided he wanted to become a priest. He was a man of the old, pre-Soviet Russian culture. He took me around to visit the NY Orthodox Churches We started out with the cathedral of the Patriarchal Church of St. Nicholas. I remember very clearly his exquisite courtesy. We rang the bell. A very tall, distinguished clergyman answered. He had on only a podriasnik, no cross or anything. After he had shown us the church, Fr. Bock asked him in Russian, “With whom do we have the honor of speaking?” He said “Metropolitan Boris.” I found out later that he became Metropolitan of Odessa. That was the first experience. Then we went to the ROCOR cathedral. We visited the beautiful Old-believer style chapel [the Chapel of St. Sergius on the ground floor of the Synod Headquarters at 93rd and Park Ave]. I attended the Liturgy there celebrated by Metropolitan Anastassy. AP: That was in ’58? RT: Let’s see. It would have been ’59 or ’60 maybe. AP: Fr. Bock was a Greek Catholic priest, right? RT: No, he had been a Latin Catholic, but when he became a Jesuit they insisted that because he was a Russian he should adopt the Russian tradition. He was a man of the old Russian Imperial culture, with exquisite manners. At the ROCOR cathedral, I attended the Divine Liturgy celebrated by Metropolitan Anastassy. I saw him doing prostrations, and the subdeacons had to hold him up because he was very old at the time. I remember it very clearly. From there we went also to the OCA cathedral, and so forth. Why did I want to do this? 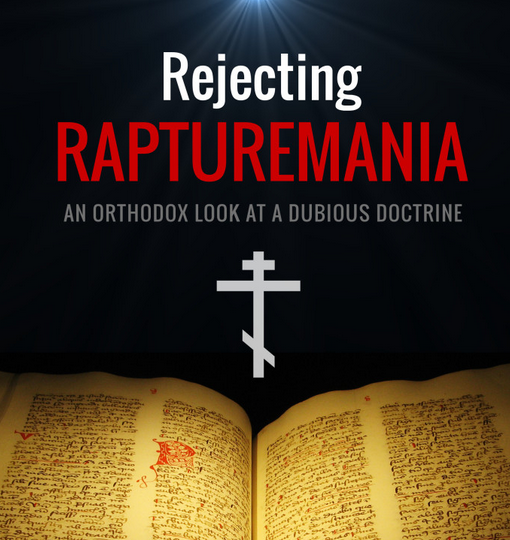 Because the ROCOR, especially, has always been known for the perfection of its liturgy. The ROCOR tries to be very faithful to the typicon. So, I used to go there frequently when I had the time. I was a graduate student and had to do my work. I also visited Jordanville and met Archbishop — I guess he was a bishop then — Averky. I visited the beautiful cathedral there. I went everywhere I could. That was my initial contact with Orthodoxy But it wasn’t just with ROCOR. It was with Orthodoxy in New York in general. This only intensified my interest especially in Russian culture and Russian liturgy. I remember that when Sister Vassa (Larin) — a ROCOR nun of course — when she asked me if I would help her choose a topic for her doctoral thesis, I told her that Metropolitan Antony (Khrapovitsky) would be rolling over in his grave. She said, “Who is this man who knows of Metropolitan Antony? Where did he ever hear of him?” Well, I used to read Pravoslavnaya Zhizn’, Pravoslavnaya Rus’ and Orthodox Life and so forth. I used to faithfully read the ROCOR literature. Half of my books on the bookshelf over there are from the ROCOR, my liturgical books that I use for the Divine Office. As for other contacts, when I was in Rome, especially later as a graduate student, I had contacts with the Moscow Patriarchate. When I was a graduate student in Rome I lived in the Russian College. The Russian College at that time opened itself up much more than had been done previously, under the new rector Fr. Paul Mailleux. He was a wonderful man, very much loved by the Russians. He had run the school for Russian boys, which the Jesuits had in Paris, where Fr. John Meyendorff had been a student. He was very well known. Fr. Paul Mailleux opened up the Russicum and built bridges to the Moscow Patriarchate. So we always had two Russian Orthodox priests from Moscow who were studying with us. I think the first two were Protopriest Vladimir Rozhkov — he was a very well know priest and pastor of a large, important church in Moscow — and then — what was his name? — I knew him so well. His name will come back to me in a minute. Yes! It was Protopriest Pyotr Raina. They would go home for their visits, and then they would come back with their old Soviet cardboard suitcases full of dried fish and mushrooms and their bottles of Stolichnaya. They would call me and we would start eating mushrooms and all of that. It was a wonderful relationship. They had their Orthodox chapel on the top floor. We would sing at their Divine Liturgy on Sunday, and they would come and sing with us at the All-night Vigil the night before, and also at our Divine Liturgy. I was there at the famous Liturgy where Met. Nikodim (Rotov) celebrated in our church, and he gave scandal to some of the Orthodox by giving communion to whoever came to communion. Those were different times. There was no hostility. We didn’t go to communion together, but we sang at their liturgy and they sang at our liturgy. I always sang in the choir. It was a wonderful, wonderful time. And so, during that period of time, I met people like Hieromonk Kirill (Gundyaev), when he was just a newly-ordained Hieromonk. He’d only been ordained two or three years the first time I met him. Then I saw him later when he was already a bishop, in Rome on visits and so forth. I remember he said to me that my Church Slavonic was very clear and understandable, but with a definite American accent. I felt like saying, “My accent is better than your priests in the cathedral in New York.” You know, the Americans. As I mentioned earlier, I also knew the Metropolitan of Leningrad, Nikodim. I remember once that someone had told him that it was my birthday. So he telephoned me, and I had to laugh because he said in Russian “Govorit Leningradky” – “Leningradsky speaking.” I found that rather amusing, putting together “Metropolitan” and “Leningradsky.” So I met also Metropolitan Vladimir (Sabodan) who is now in Kiev. At that time he was in Germany, I think. He came to Rome. I also met Patriarch Alexey I, when he was still in Estonia. He came to Rome and I met him. I met Filaret Denisenko. I was his chauffer when he was in Rome. I met all of those people. I was nobody just a student. But I had very many contacts and many interesting experiences. Why have I kept in contact with ROCOR? Largely because through my ROCOR students I came to meet several ROCOR priests in the United States. It was through ROCOR students like Sister Vassa (Larin) that I met, of course, Protopriest George Larin and his Matushka Catherine and then, through their contacts, people like Protopriest Serafim Gan, who also works in the Synod and his Matushka Irina. So I celebrate Russian Christmas with my ROCOR friends every year. We get together, I still see them. I receive emails from Fr. Serafim’s parish and so forth. It’s a normal thing. I used to tell my students when I was still teaching: There’s only one fundamental question in life — Are you part of the problem, or are you part of the solution? I have spent my life trying to be part of the solution, and I’m proud of it. AP: Thank you for that. So, much of what we have now is modern evolution in the Catholic Church, and I think we should return to a more traditional view of a church where much more attention is paid to the bishops and local synods throughout the church. We would have a more balanced view of reality. That’s my opinion. AP: Fr. Robert, you knew both Fr. John Meyendorff and Fr. Alexander Schmemann at the same time you had your experience of the Russian Church Abroad. How would you compare the members of ROCOR to Frs. Meyendorff and Schmemann? What would be your assessment of their various contributions? RT: Oh yes, Fr. Schmemann and Fr. Meyendorff were both extraordinary men, and I knew them both. I first met them in the early 1960’s at the Jesuit-run Soloviev Hall at Fordham University. Fr. Alexander and Fr. John and some other Orthodox theologians from St. Vladimir’s Seminary would participate with us in discussions of important Orthodox-Catholic issues. This was an early stage of Orthodox-Catholic ecumenical dialogue, and I have very positive memories of both Schmemann and Meyendorff. Of course Fr. Meyendorff was a much stronger scholar than Schmemann, who was gifted in a somewhat different way. Fr. Alexander was a charismatic and very handsome man, and extremely articulate. The resonance of his few works to this day is something I’ve called “the Schmemann phenomenon.” One rarely hears a lecture on modern-day Orthodox liturgy or life without quoting Schmemann at least once. He’s really unequaled in that sense. But of course Fr. John was a great Byzantinist and theologian, and is of course greatly admired inside and outside of Orthodoxy, and also in purely-academic circles. So, both of them, I think, contributed to lifting the bar, so to say, of what Orthodox theology can be. And they were both married priests – not monks! The history of the ROCOR was, of course, determined, just as the history of the OCA, by the vicissitudes of Russian Church history in the 20th c., but in a different way. The Russian émigrés that were ROCOR survived the tragedy of losing their homeland mainly by focusing on inherited Russian Orthodox tradition, if I may make such a generalization. They nurtured a love for Old Russia, inspired by a sense of mission with regard to those suffering in the homeland under the Soviets. Thus the ROCOR had this focus on the homeland that they had left behind. The OCA, on the other hand – if I might again make a generalization, began to focus on the here and now of their new home, the United States, inspired by charismatic intellectuals like Schmemann and Meyendorff. So I think this was a difference in focus, though I don’t take it upon myself to judge any Sister Church. Because my ecclesiology is the ecclesiology of Vatican II, which recognizes all the Orthodox Churches as Sister Churches. And I know through my own experience that the 20th c. was a very, very complicated time for all our churches, and particularly for Russian Orthodoxy. I wouldn’t be quick to judge the different ways that the Russian Orthodox managed to survive the consequences of the Soviet tragedy. My hat goes off to all of them, who managed to preserve and live their Orthodox faith in our common Lord, regardless of what their politics were. And I was very pleased to see the ROCOR enter into communion again with the rest of the Orthodox. . It would be good; I think, if eventually there could be one Orthodox Church in the United States. I mean this business of having everybody, every national group, separate, is not the best solution for American Orthodoxy — but that’s not my business. It’s not up to me to judge others. But I think that each church in the Orthodox family has made a contribution. One of ROCOR’s contributions has been remaining faithful to the typicon, to the liturgical tradition. I think that the OCA’s contribution has been to try to have an Orthodoxy that is both truly Orthodox and truly American. They are very successful, I mean the majority of the clergy are converts, you know. Unfortunately, they’ve been having troubles lately with their metropolitans, but they’ll get away from that too, if they have the courage to be themselves. And that is, American Orthodox. 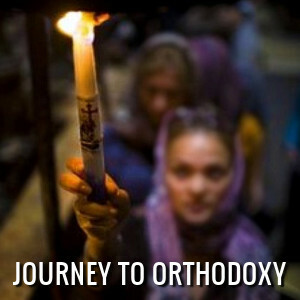 That is a beautiful thing for all of Orthodoxy. So I think that each jewel in the crown has made its contribution. My contribution has been to reach out to these people, these cultures, and to study them honestly, not engage in what I call confessional propaganda. RT: I have tried to be part of the solution, not part of the problem. My latest paper that I will be giving at the North American Academy of Liturgy congress is an attempt, an ecumenical attempt to reconcile the Catholic and Orthodox views of the consecration of the Holy Eucharist. I try to show that both of these are different expressions of a system and are truly reconcilable, and I give the evidence for that. I’m a bridge builder. AP: You mentioned your loyalty to the Second Vatican Council. At the same time, I understand that you don’t see it as necessary for the Orthodox Church to have a similar council that would overhaul the entire Byzantine Rite. Would you comment on this? RT: As I’ve always said in my writings, I am not a liturgical reformer. I am a liturgical informer. 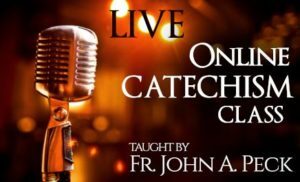 Has the Byzantine liturgy ever changed? Of course. I wrote a small book called “The Byzantine Rite: A Short History.” And I am the first one that had ever tried to really sit down and show how the Byzantine Rite (as they call it in scholarly circles) developed. Some people think that it fell down from heaven like a ready-cooked pizza. For anybody who has ever studied anything, that’s simply ridiculous. I’ve spent my entire life studying how the Divine Liturgy of St. John Chrysostom has changed. I’ve published huge volumes on this. The final one — on the Anaphora, the Eucharistic Prayer — is in print. But someone told me at a conference of the ROCOR (I won’t say where) — one of the lay people in attendance (it wasn’t a scholarly conference) asked the question, “When was it that the Catholic Church stopped saying ‘O Heavenly King’ at the beginning of its services?” What?! That would be like saying, “When did the Americans in New York stop speaking Russian?” How do you answer a question like that? So, we need to really understand. But, as I say, I’m not a liturgical reformer. I’m a liturgical informer. What does that mean? It means that I respect the fact that it’s not scholars, or (much worse) individual priests, who should fool around and change the liturgy. Their obligation is to follow the tradition. The changes in the liturgy are a decision that should be made by the councils, the hierarchy. But they should do it with some knowledge of what they’re doing. That’s my job. You want to know what the Great Entrance originally was? Or you want to know whether the Cherubic Hymn was split by commemorations? You ask me. You don’t ask a bishop, because the bishop probably doesn’t know. I don’t say that in any arrogance. Bishops have their ministry, and I have mine. 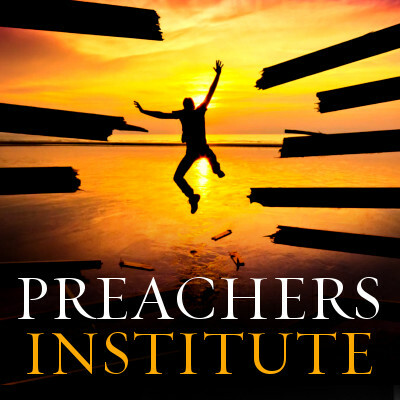 My ministry is information, not reformation. I’m perfectly content with the liturgy the way it is. But I do think that there are some things that could be improved — saying the prayers out loud and so forth — and I’ve written on all of these things. You see, that’s one thing that I can affirm of myself. In the old days when the popular new program for word-processing was WordPerfect, and they used to say “What you see is what you get,” I’d say “That’s me. What you see is what you get.” I don’t have any pretenses, because everything that I’ve thought in my entire life has been written down and published. You want to know what I think? Just read it. It’s all out there. I’m not hiding anything. You want to know how the liturgy of St. John Chrysostom developed? Read all of those volumes up there on my bookshelf. Some of them have been translated into Russian. That’s also a good thing, if I may say so, about the Catholic Church. You don’t have to guess what the Catholic Church thinks, because the Catholic Church believes in paper. If you want to know, what the Catholic Church thinks about ecumenism — some people in the ROCOR think that ecumenism is a heresy — but they don’t know what ecumenism means to Catholics. They think that ecumenism means looking for a least common denominator that everybody can agree on. That’s not what the Catholic Church says ecumenism is. If you want to know what the Catholic Church thinks about ecumenism, don’t guess. Google! You’ll find a document that tells you. See? So you don’t need to guess what the Catholic Church thinks. You can find a text that will tell you exactly. That doesn’t mean that you have to agree with it. But you don’t have to guess. The uses of history have to be left to the historians, because they are the ones who know the story. I look on this as something that we have to overcome. There’s no point debating about it. I try to do it by extending my hand to the Orthodox. Have I been successful? That’s for the Orthodox to judge, and for God to judge. As I’ve said, I’ve tried to be part of the solution, not part of the problem. AP: Definitely. How do you view the reconciliation between the Moscow Patriarchate and the Russian Church Abroad? Does it entail both gains and losses? If so, what are they? RT: Unity of the Church is always a gain; always a gain. I think that ROCOR has been able to preserve its own identity, which is a good thing because it’s had a long separate history now. The ROCOR’s founder Antony (Khrapovitsky) — I don’t know if one can speak of him as the founder. I don’t know if that’s the right term. But he was certainly a great and holy man. There’s no question about that. And his heritage deserves to be preserved as a part of the spirit of ROCOR. And I think that, as far as I know the details of the agreement that ROCOR has been able to preserve its identity. Basically, communion is what church means. So anything that improves communion I look upon as positive. In any event, I have come to care a great deal about my Orthodox friends, mainly because of the many Orthodox students who have studied with me. So if someone wants to talk about – “What right do you have to talk about these things?” – first of all, I was asked these questions. Secondly, I didn’t drag these students to study with me. There are two liturgy professors at St. Vladimir’s: Paul Meyendorff and Fr. Alexander Rentel. Where did they do their doctorate? With me. AP: And both of them are serious scholars. Thank you very much, Fr. Robert.